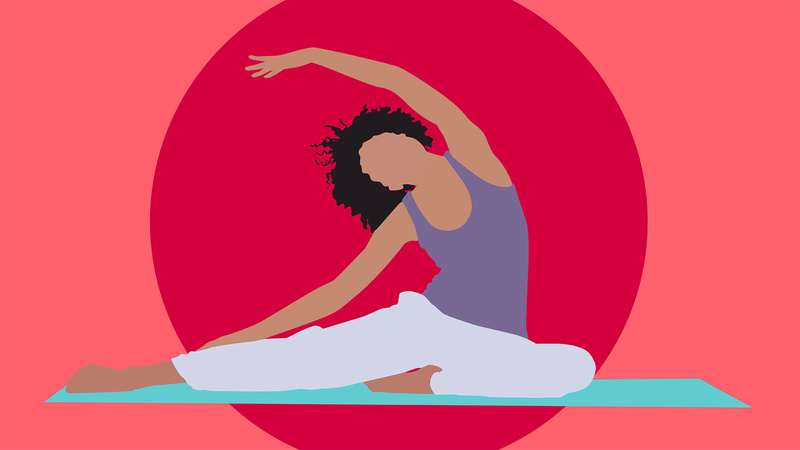 For some of us, yoga is always a little tricky… and becomes even more complex when we have our period. We know light exercise is good for us during menstruation, but sometimes the couch looks more inviting than a yoga mat. Then there are the logistics. Thankfully, most yoga pants are dark-colored, so in case a few drops (or more) of blood sneak through, it’s shouldn’t be too obvious — but that doesn’t make me feel less self-conscious about it. Not to mention the fact that bending your legs and contorting your torso into different shapes may not be the most comfortable when you’re battling killer cramps. If you’re the type who likes to push your body to the limit during yoga, your period may not be the best time to do that. “If you’re used to killing it in every posture, give yourself a pass to just breathe and stretch gently if that is what feels good,” says Carolyn Funke, an E-RYT 200-certified yoga instructor who teaches at Balance Yoga and Wellness in Larchmont, New York. Drinking water is always a good idea before and after class, but Funke advises you try to hold off chugging it during class. “It never feels good to be too full in the belly while you’re bending and twisting, and having to leave class to pee is annoying too,” she says. 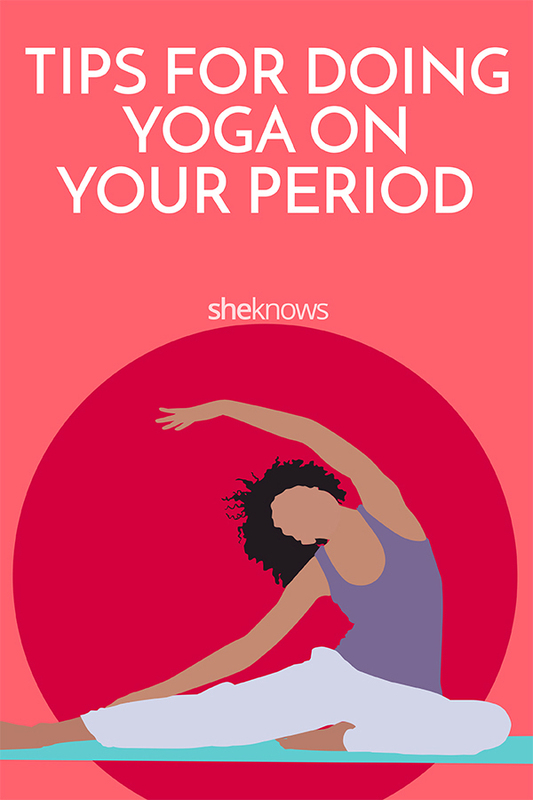 Doing yoga on your period means some positions may feel better than others. Funke recommends backbends, Fish pose or Wheel along with some gentle spine twisting. And although some people say you should avoid inversions at all costs while menstruating, Funke doesn’t think that’s necessary. Kino MacGregor — or as she is known on Instagram, KinoYoga — an international yoga teacher, author of four books including The Yogi Assignment, says that in the ashtanga yoga tradition, it is not advised to do strenuous yoga practice on the days of heaviest flow during your menstrual cycle. We have a lot of options when it comes to period products — including tampons, pads (both reusable and disposable), menstrual cups and discs — but how do we know which is best to use for yoga? In short, it’s whatever makes you most comfortable. If you’re not used to using tampons, for example, popping one in before a yoga class may distract you while you’re bending and stretching. Yoga attire is usually based on comfort, and that is especially true during your period. “For practice, it is advised to wear comfortable clothes that do not compress the abdomen during the days of your cycle,” MacGregor says. Yoga is not a one-size-fits-all practice, and that is especially true during your period. Funke suggests trying different kinds of classes to find out what feels best for you.